The Schmidt-MacArthur Fellowship Wild Card Competition is an amazing opportunity for one student from any university in the world to win a place, worth GBP £10,000 on the exclusive Schmidt-MacArthur Fellowship Programme for both themselves and their faculty mentor. The sponsors are looking for an exceptional student to join other students from leading universities including MIT, Yale University, Stanford University, Imperial College London and London Business School, in the 2017 fellowship programme. The Schmidt-MacArthur Fellowship is an international postgraduate fellowship on the circular economy for design, engineering and business students. It is jointly funded by the Ellen MacArthur Foundation and the US based Schmidt Family Foundation. A postgraduate student studying either design, engineering or business? Interested in the circular economy as an innovation framework for positive change? Keen to be a part of the opportunities available in the transition to a circular economy? ALL accredited partner and non-partner universities in the world can participate. Partner Universities are leading international universities, institutions and schools in either or all of the Fellowship’s focus areas: design, engineering and business. The Fellowship’s focus areas are: design, engineering and business. Fellowship worth UK£10,000 is granted the student to develop a Circular Economy Innovation Project as part of a postgraduate study course in design, engineering or business. There is also the opportunity for your faculty mentor to take part in this exclusive programme and network with top academics from leading universities around the world, as well as receive an UK£10,000 honorarium. All applications are submitted online. This will involve completing an online form and uploading a link to your audio-visual presentation via YouTube. Details of an alternative way to send your audio-visual, for those applying from China only, will also accompany the online application form. It is important to visit the official website (link to it is below) for complete information on how to apply to this fellowship, and to access the necessary forms. Applications received after midnight GMT on 12 February will not be considered. 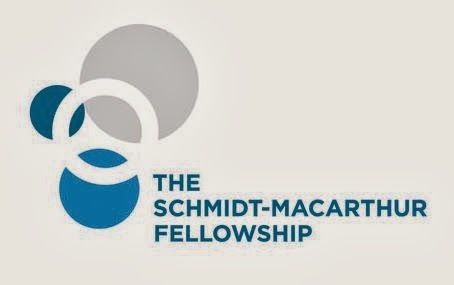 The Schmidt-MacArthur Fellowship programme is developed and delivered by the Ellen MacArthur Foundation with expert input from Cranfield University, Imperial College London and London Business School. The Ellen MacArthur Foundation is an independent charity with the aim of inspiring a generation to re-think, re-design & build a positive future through the vision of a circular economy. The Foundation works across business and education to accelerate this transition. The Schmidt Family Foundation, established in 2006 by Wendy and Eric Schmidt, brings philanthropic resources to some of this century’s greatest challenges across the globe. Their mission is to apply new knowledge and innovation to problem solving and to advance original research in science, energy and the sustainability of the world’s biosphere.